I cut it out in white, then traced the die onto some pink to make a background. 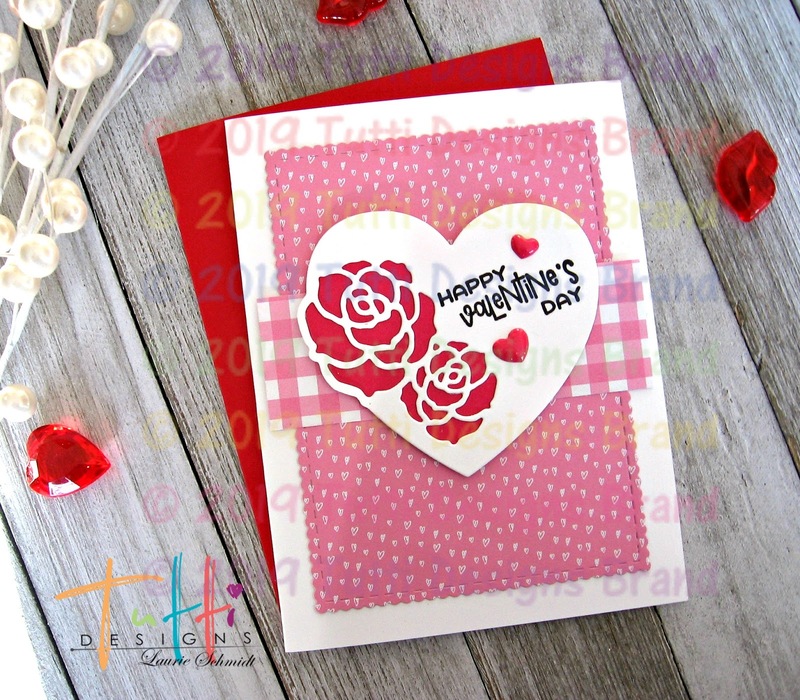 Then I stamped a sentiment and added some cute enamel hearts. 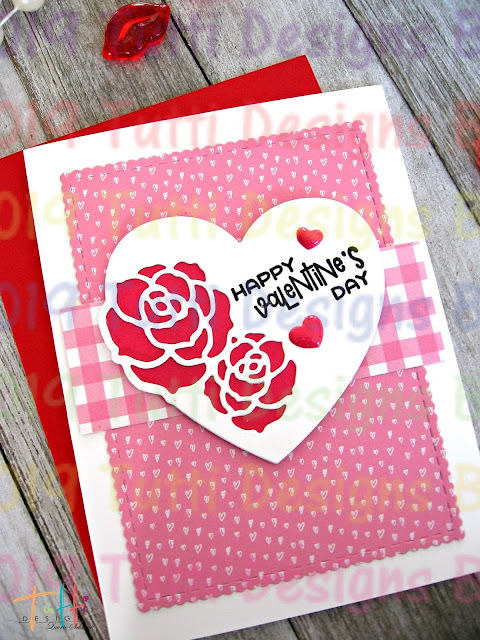 I found some fun Valentine paper in my stash, and cut out a scalloped stitched rectangle. 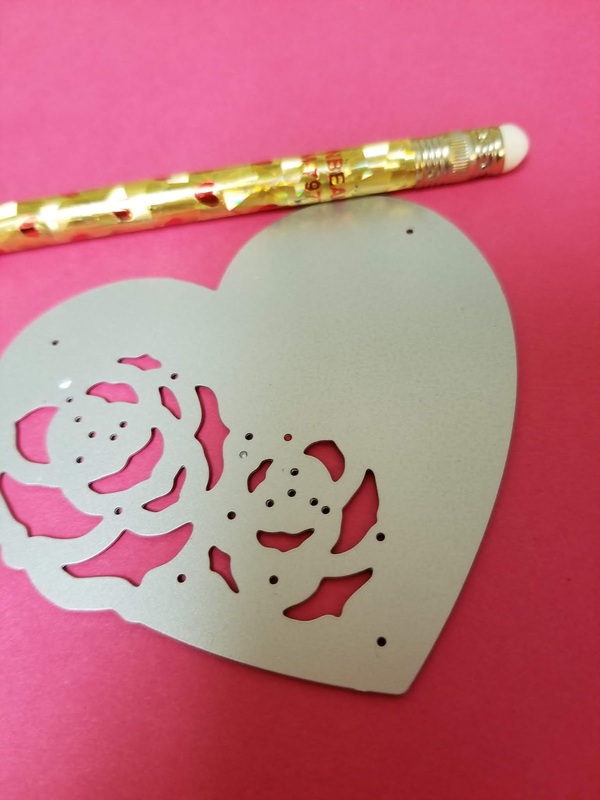 I adhered everything onto white card stock for a quick and easy Valentine!